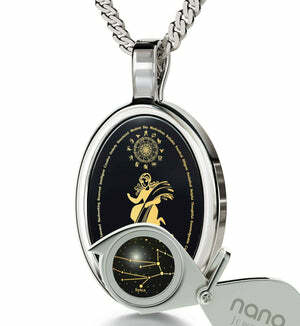 Virgo Jewelry - Awe a Virgo You Love with Dainty Nano Jewelry Now! 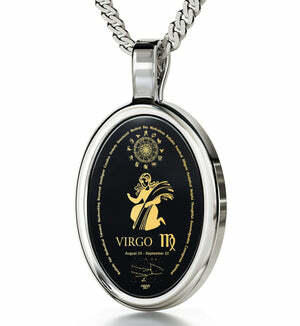 Honor Virgo’s hardworking and creative nature with this meaningful necklace! 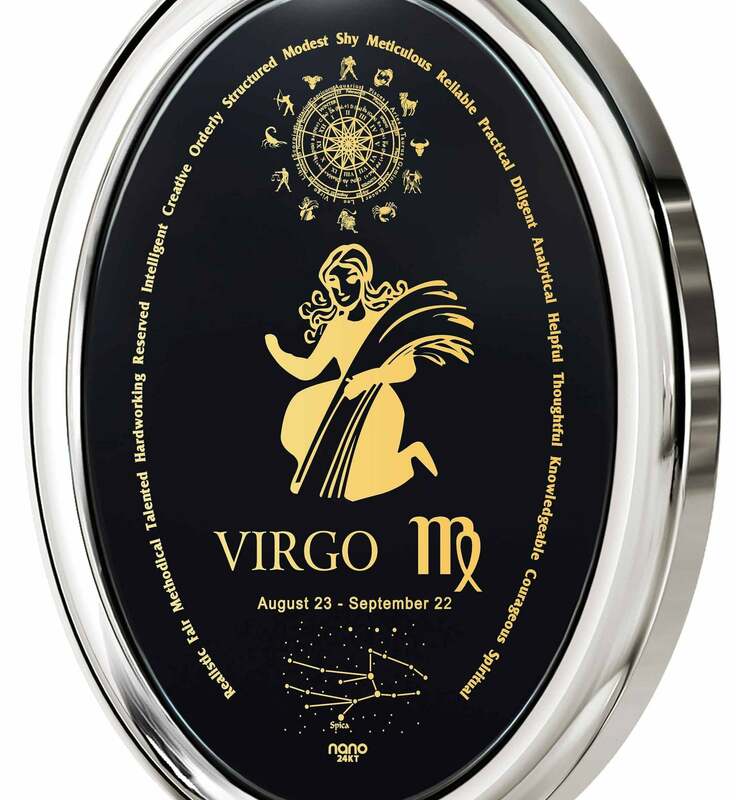 When others falter, the traits of a Virgo that are the most commendable such as their orderly and methodical approach to life elevate them to greater heights. They don’t shy away from letting their loved ones partake in their success either. One of the ways you can show them that they are loved for who they are is a boyfriend or girlfriend birthday idea that will speak to their creativity and flair for detail alike! 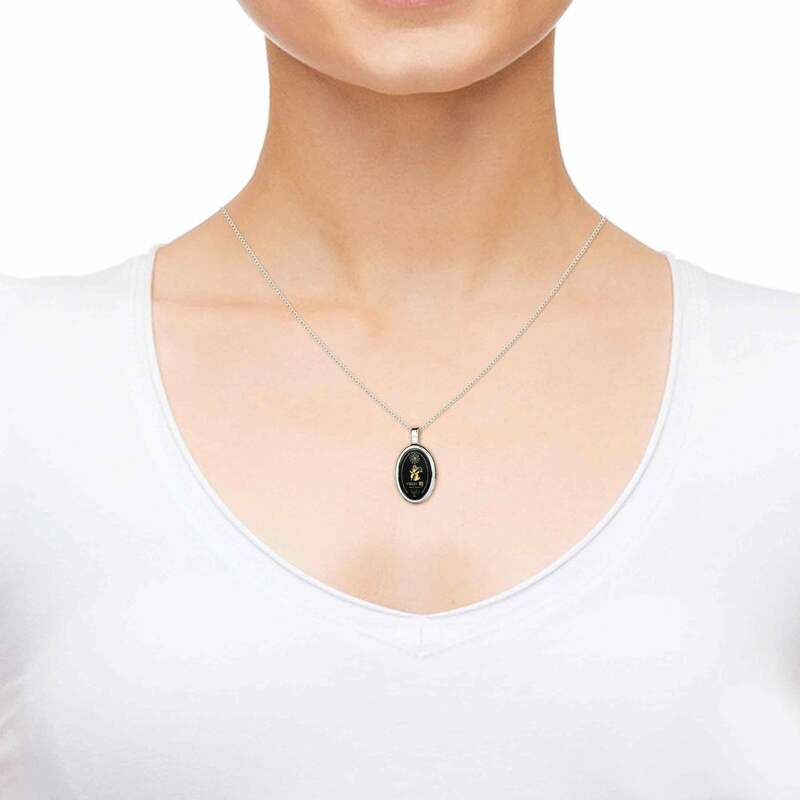 This dainty silver necklace represents a unique blend of artistic inspiration and technological advancement that fit together very well. 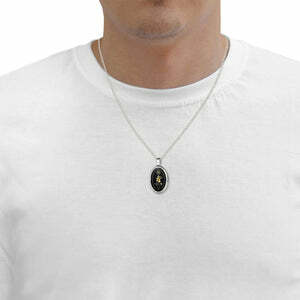 If the sterling silver links of is Italian chain or the smooth shape of the oval frame don’t tickle their fancy, the beautiful onyx gem at its heart surely will. 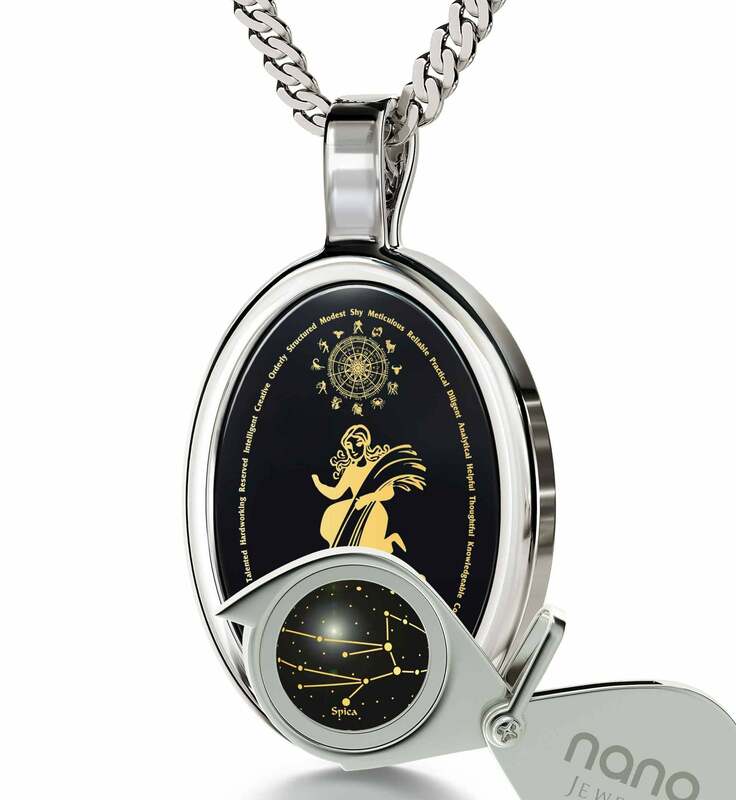 Inscribed with pure 24 karat gold, it features an unprecedented level of detail, nobody else is able to come close in recreating. Thanks to an innovative process the rich inscription will never fade, making the necklace a good gift idea for men and women alike. 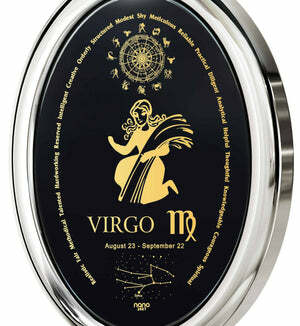 Depicted are a virgin maiden with wheat in her hands, Virgo personality traits, its constellation, symbol, Geek name, birth dates and the whole Zodiac. Even a Virgo’s appreciation for fine craftsmanship will be satisfied to the fullest, especially since they’re also getting an elegant magnifying glass that will make viewing the intricate designs more exciting. The best gifts men and women can agree on always come inside exquisite boxes, and this one is no exception. 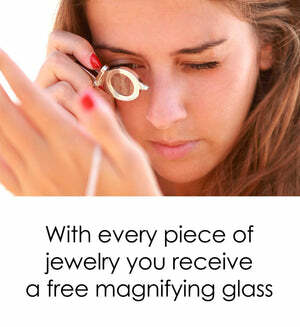 They’re bound to like it almost as much as the necklace and are sure to be excited before opening it for the first time to reveal the treasure inside.